Fall is here and it's brought with it the return of blanket scarves! 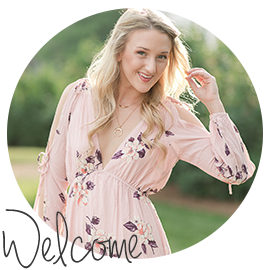 Today I've styled a few options for you all to use in your fall looks. This is the classic blanket scarf styling that you see most often in the fall and winter months. It's a sure way to keep the warmth in while styling in style! Step one is fold your scarf in half making a triangle shape. The next step is hold this out in front of you the wrap it around your neck (seen below). Once you've wrapped this around your neck, pull these two sides down and let them hang underneath your scarf that's hanging in the front. This next look is another classic. 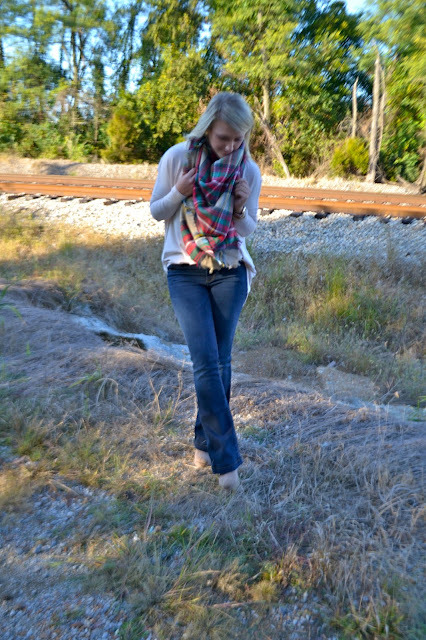 Start your look by folding the blanket scarf in half creating a rectangle shape. Once you've done this, roll up the scarf and pull it around your neck. If you like this look, no need to keep going! You're good to go. If you're wanting to create a little more warmth, simply throw one of the sides of the scarf over your shoulder. Cozied up and ready to go! The third and final look is the belted look that you all saw my display in Friday's post. Such a cute post, the photos are a great help! 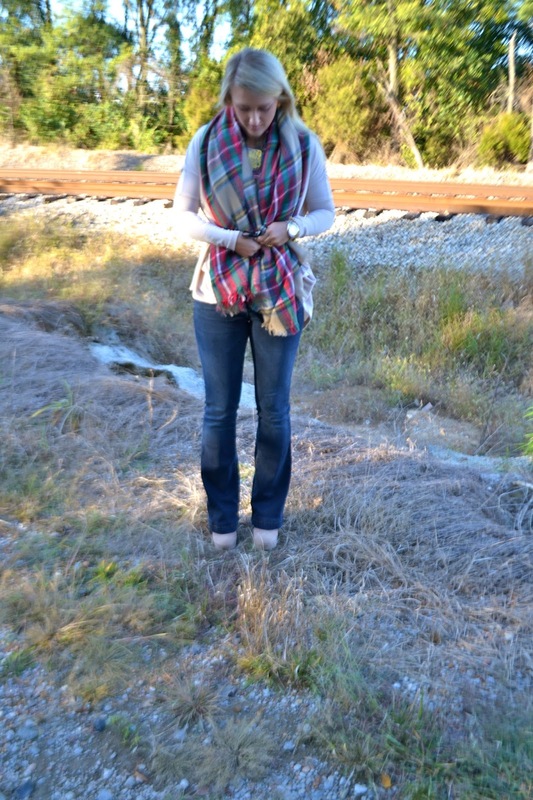 I have this scarf and love that there are so many ways to wear it! Thanks Chelsea! I love it too :) Happy fall! Such an adorable outfit. 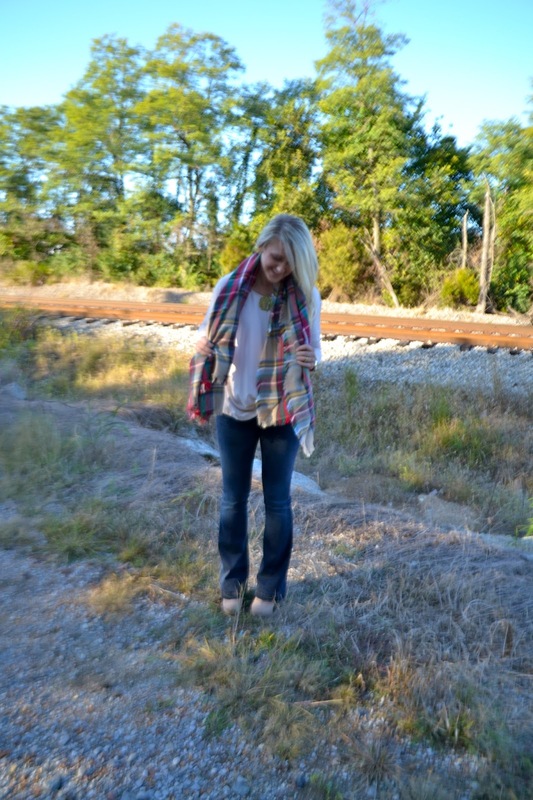 I feel like there are so many ways to wear a blanket scarf! Thanks Nicole! 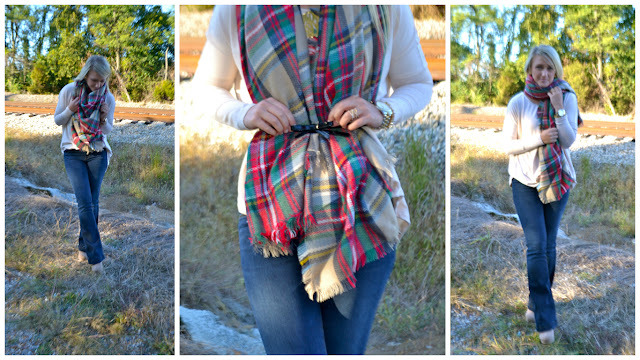 There are a million ways to wear blanket scarves! I love it. It's so cute with a belt! Love all three styles, especially the third one!! Gotta love the blanket scarf, it's so versatile!